Happy Weekend! Any big plans? Farmer Ben and I are spending our weekend at our district’s ministry retreat. Today I want to talk about Hemp Hearts! Have you had these tasty little seeds before? Farmer Ben and I love them! Confession: We put them in everything. And I mean EVERYTHING! Hemp Hearts are actually the center of the hemp seed (basically, it’s what remains after the seed is de-shelled). They are also super good for you. In one 30 gram serving, Hemp Hearts contain 10 grams of plant-based protein and 10 grams of Omegas. They also have more protein and omegas and less carbs than the same serving of chia or flax (AND don’t get stuck in your teeth!). Manitoba Harvest Hemp Hearts are also Non-GMO Project verified. This is something super important to Ben and me. I love them because they have a nutty flavor that goes with anything. Seriously, Ben and I use them as a topping for yogurt and salads, a stir-in for smoothies or eggs, filling in meatballs (yes, I’m serious) and muffins. Sweet or savory, these will work! Click the link or the picture below for the muffin recipe. I made these a while back and actually just use all hemp seeds now. 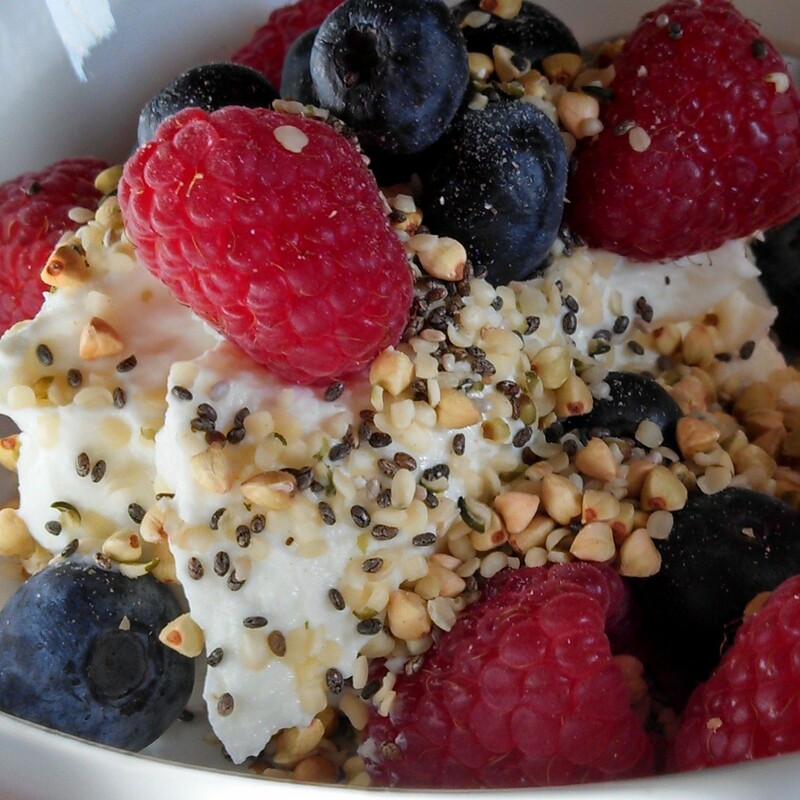 Another way that we love to eat hemp hearts is with plain yogurt and some fresh berries. As you probably know, siggi’s is my go to! So, long story short, we are huge fans. These little seeds are a staple in our house. AND! Good News, Manitoba Harvest is generously offering one of you lucky readers the chance to win a package of Manitoba Hemp Hearts to try. One prize per person. If you win this giveaway, and have already won another prize from Manitoba Harvest through another blog, please disclose that you have already won so we can choose another winner. ****Giveaway ends Wednesday, November 11. 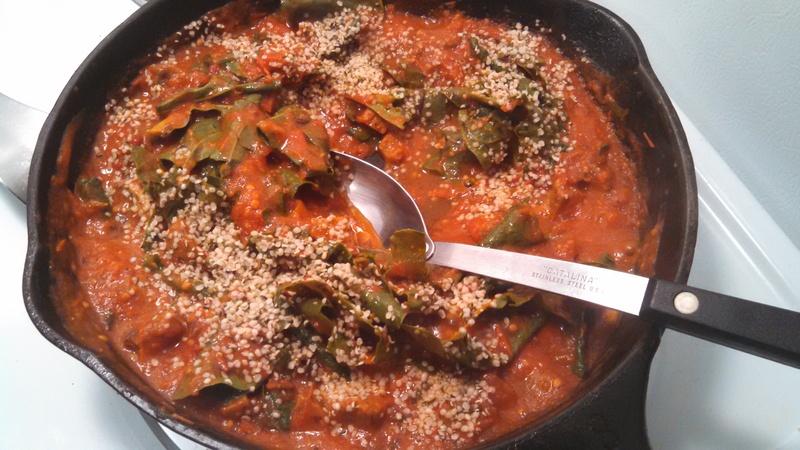 Ever had Hemp Hearts? What’s your favorite way to eat them? *Full disclosure: As a Sweat Pink ambassador, I was provided a free sample of Manitoba Harvest Hemp Hearts in exchange for a review. All opinions are my own. * Thank you Manitoba Harvest!